It has become routine in American politics for the left to talk about all the terrific European policies we should try—from single payer to tuition-free college to sexual education. In Europe, meanwhile, American politics is often treated as dark entertainment, a kind of nation-sized HBO-style drama, full of grit, machismo, and gore. Given that America experiences much higher economic inequalities, suffers from an epidemic of gun violence, and is run by a Trump administration that wants to deprive millions of people of access to affordable healthcare, Europe’s marked lack of interest in replicating American policies is somewhat understandable. But there is one advantageous policy America figured out a long, long time ago, whose value is still underrated by many Europeans, even of left-wing persuasion: the value of unionism. What is unionism? As I’ll be using the term, it’s the idea that different peoples—with different cultures, ethnicities, languages, or religious beliefs—should nonetheless join together politically under a single set of sovereign political institutions, whenever doing so offers the peoples in question overriding net benefits which they cannot otherwise obtain. It would be nonsense, for example, to speak of unionism in the European colonial context, because the colonial empires were not offering colonized peoples much in the way of benefits. Indeed, for the most part the European empires ultimately decided that they would rather grant their colonies independence than form genuine unions with them. An empire, because it is based on exploitation rather than mutual benefit, is not a union. Empires have victims, unions have partners. Left-leaning people often have mixed feelings about unions. They like the idea of international cooperation and universally-recognized human rights, but they also often have a certain fondness for glorious revolutions, especially when a plucky minority carves out their own autonomous region from a large, centrally-administered territory. Many people on the left opposed Brexit, for example, but support Scottish or Catalan independence. And, to be fair, there are all sorts of legitimate complaints one can make about unions. They dilute or destroy cultural distinctiveness, and seem to privilege some cultures over others. They concentrate power in faraway places, in the hands of people who are unfamiliar and possibly untrustworthy. They’re run by faceless bureaucrats. They undermine our autonomy and our level of influence within our democracies. But the trouble is that while many of us want autonomy and democracy and cultural distinctiveness, we also want to stop climate change and austerity. We want to reduce inequalities within our societies and protect our workers and public services from races to the bottom and privatization. And the reality is, it’s simply not possible to pursue these other goals through the nation-state in the 21st century. We think we can have it both ways, but we can’t. I’m here to argue that unions provide overriding net benefits which we cannot otherwise obtain. Unions destroy, but what they create is greater than what they destroy. This doesn’t mean I don’t care about the things unions destroy—I do. But we’re living in a brutal century, and hard choices must be made. If we think stopping climate change and inequality aren’t humanity’s most important priorities, it’s likely because we don’t really imagine these problems will affect us. But they certainly will affect us, whether we want to admit this to ourselves or not. We can’t hide from this essential 21st century question—which is it going to be, unity with sustainable, shared prosperity, or distinctiveness with death and destitution? 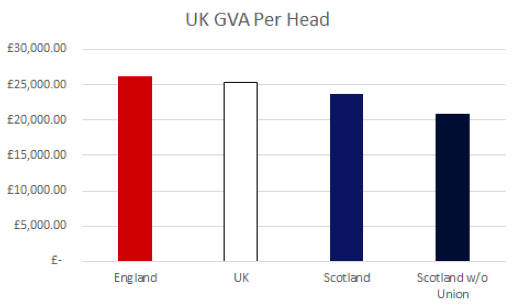 To illustrate these points, let’s look at some existing unions: namely, the United States, Spain (with reference to the ongoing Catalan crisis), and the U.K. (with reference specifically to Scotland, leaving aside the question of northern Ireland and other British territories). We’ll then look at the European Union—which, I will argue, is not a union in the same sense as these three previous examples, but which I believe ought to commit to operating more like a true union in the future. The union routinely redistributes large amounts of wealth from rich states to poor states without controversy. The union sets tax and regulatory floors, limiting the scope for races to the bottom, protecting regions from becoming overly dependent on small numbers of industries and corporations, and making it possible for us to protect workers and the environment from the ravages of 21st century capitalism. The entire union speaks with one voice in the international arena. No reasonable person will sit here and tell you that the United States is a fully fair society, but the union makes it significantly less bad. Additionally, when there’s an economic crisis or natural disaster in the United States, the union’s resources ensure that the states that are hit the hardest don’t have to face rebuilding alone. The union makes possible things like the federal government’s $123.8 billion bailout during the Savings and Loans Crisis of the ’80s, the $70 billion in federal spending on Hurricane Katrina relief and reconstruction, and TARP, the Toxic Asset Relief Program (which cost the federal government $426.4 billion, although this money was eventually recovered and a tidy profit of $15.3 billion was made). Now—putting on our Ruthless Self-Interest Hats for a moment—we could argue that this emphasis on redistribution only gives us a reason to support political unions if we are from a region that benefits from redistribution. 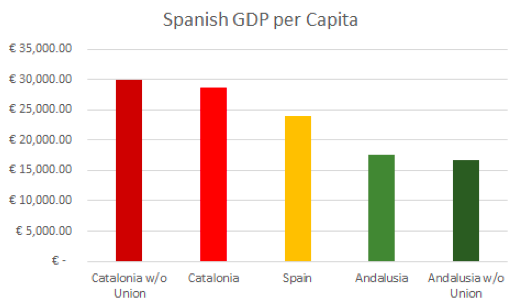 What do we say to a secessionist in Catalonia—or, for that matter, from England or New York, all of which regions are the richest partners of their respective unions? 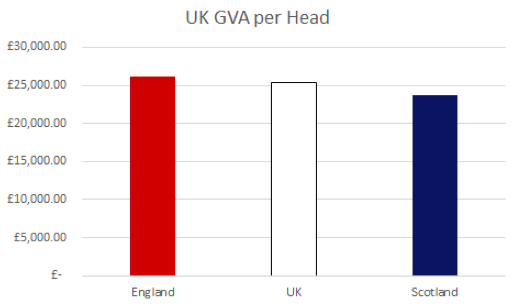 From a left-wing point of view, of course, these rich regions obviously have a duty of justice to help poorer regions out. But if that justification fails to satisfy our interlocutor, we can point to an additional set of benefits which help regions with strong, prosperous middle classes keep those middle classes strong and prosperous: the capacity of unions to defend workers in rich regions from unfair competition from poor regions. You have to pay federal taxes. You have to pay minimum wage and respect federal labor laws. You have to respect federal regulations that protect the environment and protect Main Street from Wall Street. Now, you can argue that the federal tax code has too many loopholes, that the federal minimum wage isn’t high enough, that our labor laws and environmental and financial regulations are too weak. But without the federal government, the race to the bottom to secure jobs and investment would make the American worker’s already grim situation so much worse. Why do trade deals like NAFTA or TPP so often screw over ordinary people? Because they increase economic integration between different regions of the world without increasing political integration. When we allow free movement of capital and/or workers without creating a common political framework—and without adequate wage, regulatory, and tax floors—states whose workers are accustomed to lower wages and poorer working conditions can and will boost their competitiveness by undercutting their rivals. The result is a poisonous race to the bottom, in which states keep making jobs for working people more precarious and miserable to avoid losing those jobs completely to foreign competitors. 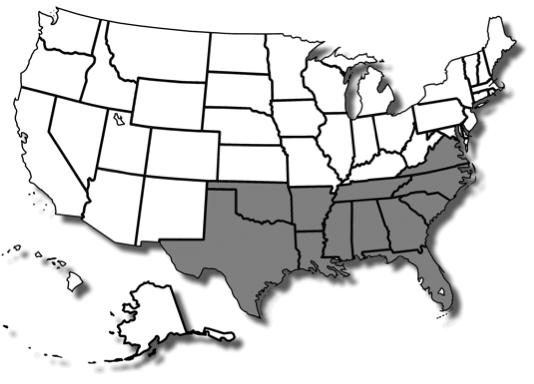 Imagine if the United States broke up and New York and Mississippi became independent states. Without the blue states in Washington, DC, there would no one politically to restrain Mississippi’s right-wing impulses. Mississippi has no state minimum-wage law. 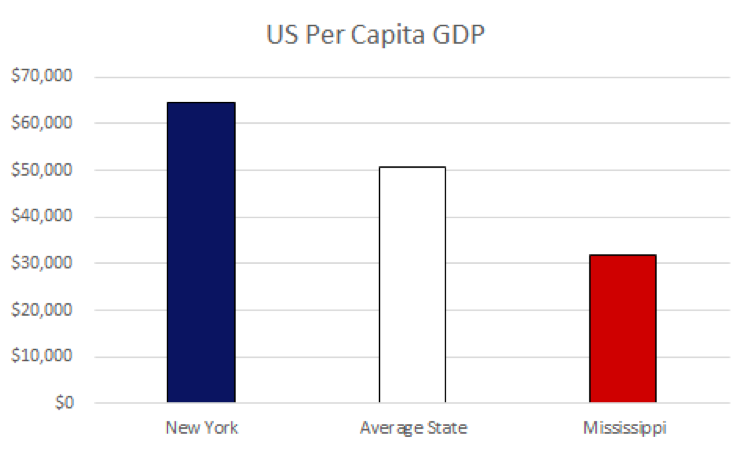 Its median household income is a fraction of New York’s. 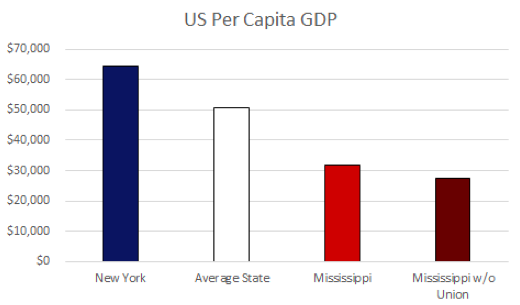 The strategy for Mississippi would be very simple—turn its workers into a sweatshop army and make it impossible for states like New York to compete without ripping their own taxes, wages, and regulations to smithereens. 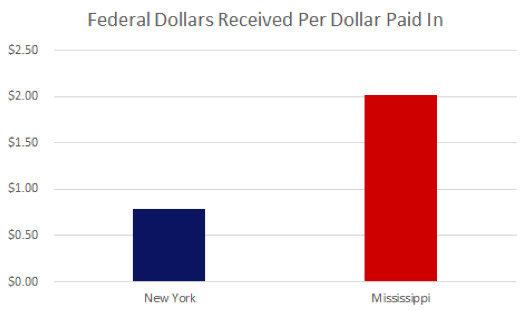 They’d have to follow suit, and that means that even though New York would no longer have to make funding transfers to Mississippi through the federal government, it would have to lower its own living standards to compete alongside it. New York’s only alternative would be to close the borders, trapping employers and capital within its territory to prevent them from moving to Mississippi. This “close the borders and try to develop from within” strategy isn’t just a fanciful hypothetical: in real life, this was, in fact, the Soviet Union’s whole approach. 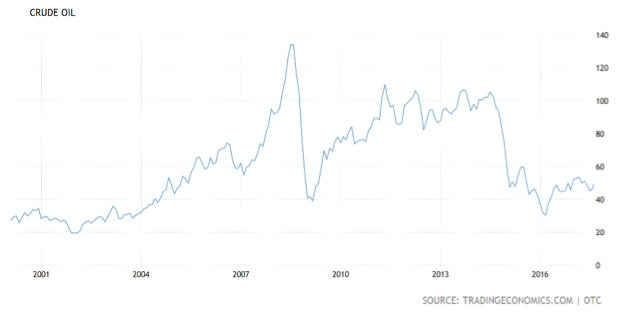 Foreign trade consisted of just 3-4% of Soviet GDP in the ’80s, compared to 44% of Russian GDP in 2012. Rather than trade with the west and risk exposing their workers to cheap imports, the Soviet Union dug in, hoping that its union would be large enough to give it the necessary market leverage to go its own way. In spite of the Soviet bloc’s size and power, this strategy didn’t work. 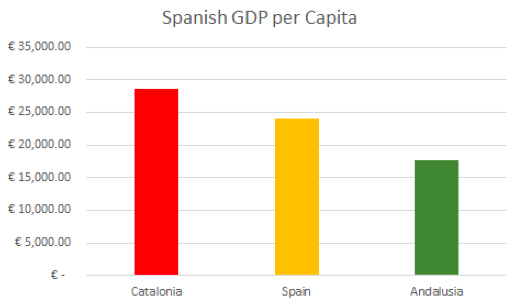 And if the Soviet Union can’t compete economically by hiding inside its borders in the 20th century, what chance would a much smaller state like New York or Catalonia have in the 21st, where people and capital are more mobile than ever before? When commodities prices fall, as they inevitably do, the states stuck reliant on them end up like Venezuela—forced to choose between massive austerity and massive inflation, kicking the poor in the head or kicking the whole population in the stomach. And in the meantime, the unions these secessionist states leave behind are deprived of crucial left-wing votes they need to protect and improve upon their own collective regulations. Spain came close to toppling its center-right government in 2015. How is it supposed to do that without Catalonia’s votes? Britain nearly got Corbyn’s Labour Party in earlier this year. How is he supposed to close the deal without Scotland? Secession in these cases sets both the new country and the old country up for failure. Worse, it structurally and institutionally embeds that failure in the very foundation of both societies, making it endemic and almost irreversible. And lest we forget, if a left-wing government in the west goes protectionist and clamps down on capital mobility to prevent outsourcing and capital flight, that’s going to hurt poor people in developing countries. Socialism in one country is an intrinsically nationalist project. If we care about the developing world—and we should—we need to increase political integration so that their workers get the same protections ours do, allowing both ours and theirs to compete fairly. If we abandon economic integration instead, the global rich aren’t the only ones who pay the price. When people say that the nation-state or decentralized subunits are the right vehicles for left wing policy, they need to take seriously what this implies. When the global economic crisis struck, the banks ran out of money to lend and the whole thing fell apart. This is precisely the moment when you need a union to do a bailout. 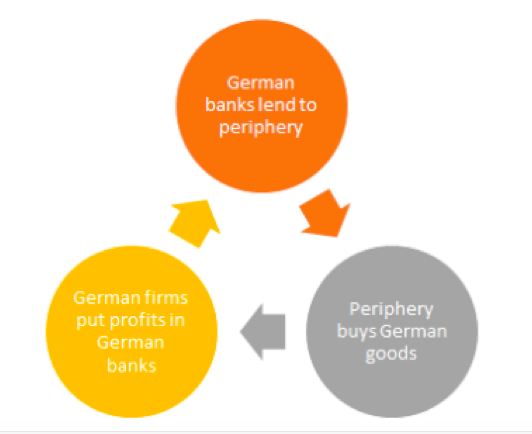 The periphery needed its debts written down, and it needed Germany to help close the labor cost gap by allowing a higher rate of European inflation, and maybe even restoring some of those lost worker protections. But there was no union to make Germany do any of this. 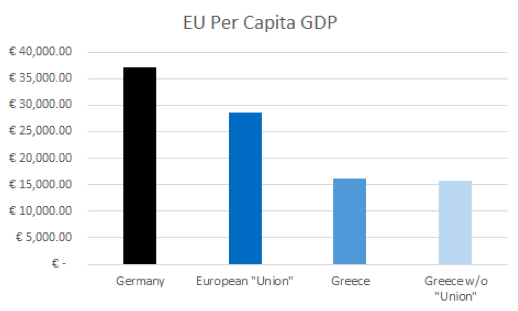 The European Central Bank relies on the German Bundesbank to function, and Germany is the largest contributor to the EU budget. 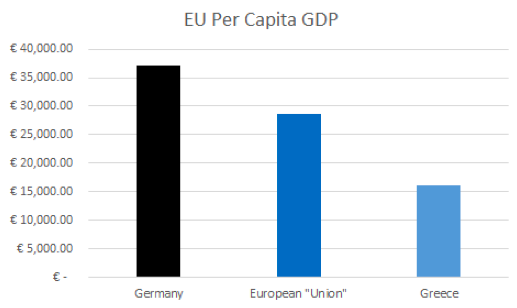 The EU can’t compel Germany to change its monetary or fiscal policy, because Germany retains its sovereignty. Instead, the reverse is true: Germany has so much leverage that it can compel the EU to act in the German national interest. 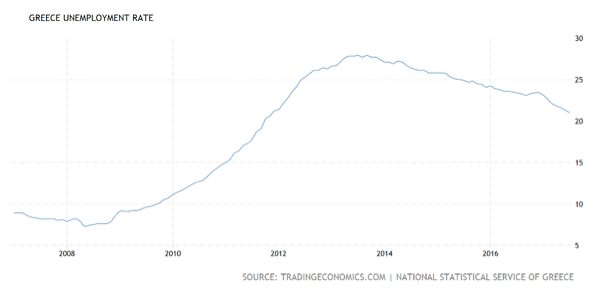 Instead of writing down the debts and allowing inflation to rise, Germany demanded that the periphery pay its debts in full and restore competitiveness by implementing grueling austerity programs and labor market reforms. 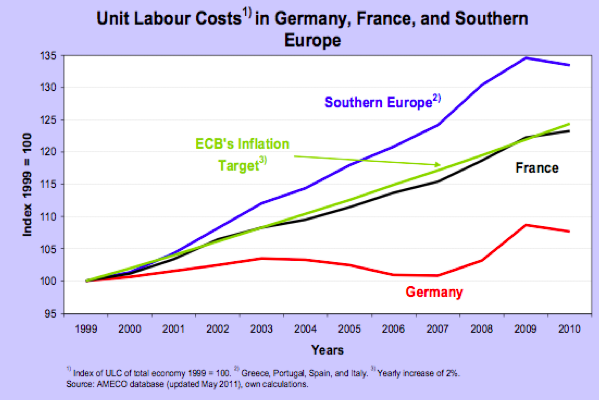 In the EU, it’s poorer countries in the periphery that are undone by weak labor laws in rich places like Germany. 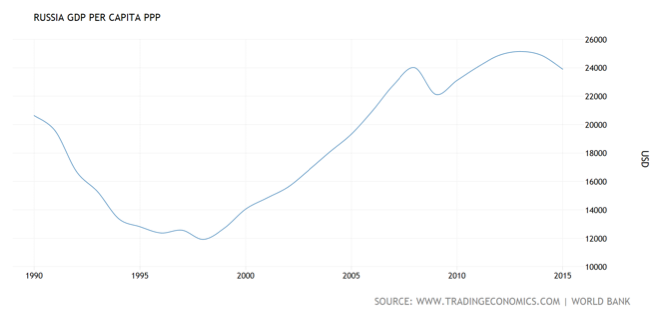 Germany has manipulated its labor market to imitate the “flexible markets” of much poorer countries. It’s using the economic tactics poor countries use to survive to increase the regional economic disparity in Europe, and it’s getting away with it. If this sort of thing were possible in the US, New York could, for example, poach Mississippi’s few jobs if it chose to act like Germany. Faced with this challenge, European countries have been pressured to gut their public services and labor laws so that they can lower their taxes and wages and maintain competitiveness with Germany. Emmanuel Macron will be the third French president in a row to attempt to ape German labor market reforms. Britain has tried to take a hacksaw to the NHS (National Health Service) in a bid to fund tax cuts for the rich to bribe them into locating in and around London. The public, of course, is dissatisfied with this gutting of labor standards and critical government services—and so governments move quickly to find vulnerable people to blame: immigrants, refugees, their own unions (both the labor and political varieties). The Scots have been blaming the UK and the UK has been blaming the EU. 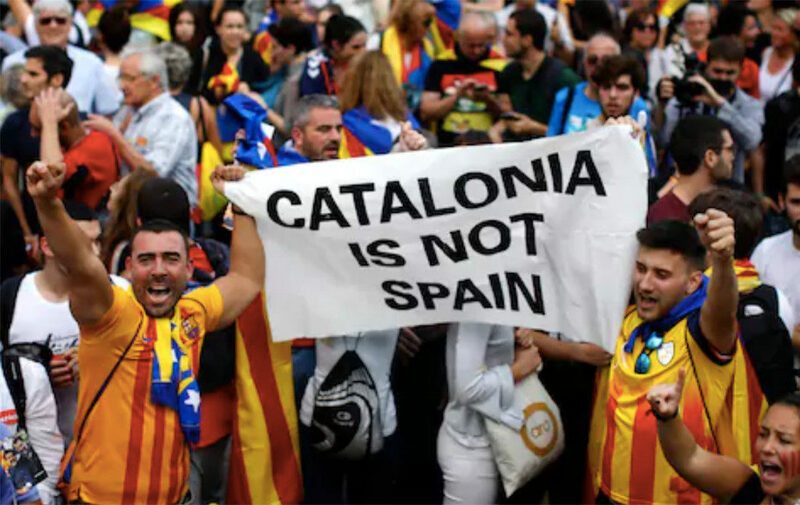 The Catalans are blaming Spain. But it’s not the unions that have failed the people of Europe. It’s the confederacy. If rich US states like New York or California could exercise the kind of influence Germany exercises in Europe, of course they’d do the same thing. The problem isn’t Spain or France or the UK or even Germany, it’s the crummy collective institutions they’ve constructed. They rushed economic integration without making adequate provision for its political oversight. That oversight can never be achieved by restoring Europe to a continent of independent states. In the 21st century, disintegration means European states becoming antique Soviet-style “socialism-in-one-country” enclaves, doomed to be left behind and forgotten by the modern world, until, finally, they collapse back into capitalist oligarchy. Or, alternatively, it means European states engaging in the pernicious race to the bottom, abandoning the values of social democracy completely. For the peoples of Europe, unionism delivers overriding net benefits which they cannot otherwise obtain. It is the only way for them to protect or advance any conception of social or economic justice which can stand up to brutal 21st-century pressures like globalization and climate change. Who will ensure that every European receives a fair share of the social product? Who will ensure that every European state does its part to fight climate change? If there is no genuine European Union to do it, it will not be done. Germany is already failing to meet its climate targets because Chancellor Merkel’s CDU fears that if it tries any harder, jobs will move to countries with lower standards. As with labor, so with climate—if Germany fails, everyone else will follow. The case for unionism becomes even clearer once we examine the situation outside Europe. Since the Second World War, Europe has been heavily influenced by two external powers—the United States and the Soviet Union. The Soviet Union left half the continent in a futile economic isolation from which it is still recovering. The United States helped rebuild Europe during the post-war period, but when it decided to move to the right in the ’80s, this unleashed competitive pressures which dragged all the European countries in its sphere of influence in the same direction. In every major European state, top 1% income shares have increased since the post-war trough. When, through disunity, a collection of states allows some external power to gain hegemony over them, that collection of states can only do as well as that power permits. When the Americans have a good government, they’re great for Europe, but when they don’t, the Europeans are left with no means of effective resistance. They end up every bit as tied to America when the president is Donald Trump as they are when it’s Franklin Roosevelt. The only way to counter disproportionate American influence is through a strong, bona fide European Union. Europe can’t wait for America to lead the way on inequality and climate change. It needs to take collective responsibility for its own fate. If the United States does nothing constructive, if it declines and loses influence relative to rising powers like China, Europe will become a plaything in the great power struggles of other peoples, just as it was in the Cold War, just as other regions of the world were historically made toys of European imperial contests. Europeans know how badly other regions of the world fared when Europe had the upper hand, and they know how badly the east suffered under the Soviet yoke. It was the Europeans who taught the world that politics is about power, that stronger political institutions prevail over weaker ones and impose their will on the vanquished. If they forget the lesson now, they cannot rely on their former students to do the same. 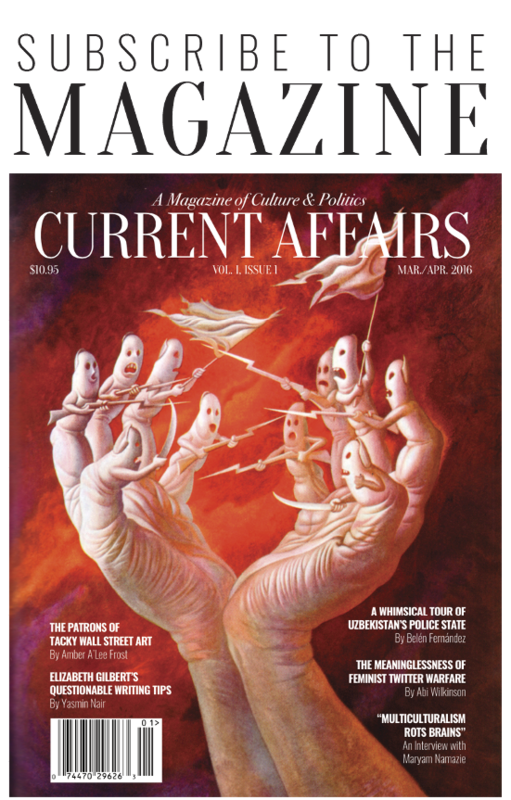 Confederationism falsely promises unity with distinctiveness. We must give on the latter to get the former, or the entire continent will become a dystopian hellscape. There will be no justice, the climate will fall apart, and Europe will be at the mercy of foreign interlopers who don’t care about its people. The left needs to stop idly dreaming about glorious one-country revolutions and get real. It’s time to join a union. A big one. It’s always going to be tempting to start with economic integration. Free trade and free movement sound less threatening to democracy and distinctiveness than “transfer your sovereignty to the faceless bureaucrats in DC or Delhi, Brussels or Beijing.” But if economic integration comes before political integration, that integration will produce crises before the political integration comes. Those crises totally destroy public confidence in the value of integration and unleash disintegrating forces. At precisely the moment when we most need political integration, we’ll find the stiffest level of public resistance, and we may even find that the economic integration we worked so hard to achieve is rolled back. It’s always going to be tempting to expand integration zones rapidly, especially during periods where this integration appears to be working. But look what happened when the EU added the Eastern European countries. The EU extended free movement to them without offering them much redistribution and without creating adequate wage, tax, and regulatory floors. The result was mass migration from East to West. This produced brain drains in the east. It damaged western Europeans’ sense of distinctiveness. It gave the right in these countries people to blame for the consequences of austerity. “It’s the immigrants who are over-straining your public services.” “It’s the immigrants who are taking your jobs.” “It’s the immigrants who are stopping your wages from rising.” “It’s the immigrants who make you feel like a stranger in your own country.” Of course many western Europeans would turn against these vulnerable people, and against the institution which enabled them to come in the first place—the EU. When a union adds new members without also taking on redistributive obligations, the blowback can impede further integration or even reverse what integration we have managed to do. Doing both of these things at the same time—starting with economic integration and then over-expanding the integration zone—is absolutely fatal. Following these rules will sometimes make it harder for us to get integration in the short-term, but it will ensure that the integration we do achieve is sustainable. It’s no use integrating if our integration is self-defeating in the long-run. The bigger the unions we can make, the easier it will be to take the collective decisions we need to take on climate, taxation, regulation, and distribution. But we can never prioritize increasing the size over the four rules, because breaking the four rules is too dangerous—there’s too much risk that our collective institutions will prove inadequate and that the blowback will set unionism back a generation. We don’t have that kind of time. We may already be too late—the forces of disintegration unleashed in Europe may now be too far along for anyone to stop them. But we have to try. There is no alternative. Benjamin Studebaker is a PhD student at the University of Cambridge.